Ramblin' John... Ramblin' John... Start the boy a-ramblin' and he'll ramble on. Folk School of St. Louis: 10th Anniversary Concert! I'm dusting it off and putting it back in service to invite you all to the Folk School 10th Anniversary Concert on Thursday, December 1, 2011 at the Sheldon. Come enjoy an evening of great music and help the Folk School at the same time! Tickets are available through Metrotix, at the Folk School & from me. 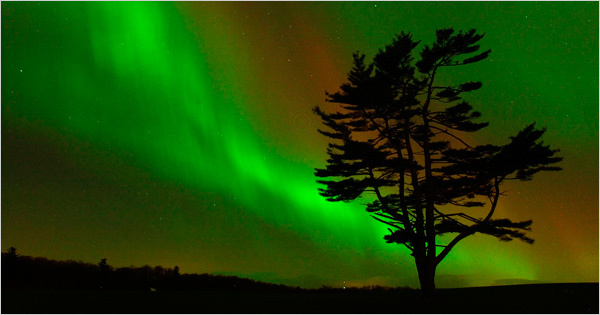 This article in the New York Times reports of a little understanding added to the beautiful mystery that is the Northern Lights. I miss those northern Minnesota nights when I watched the lights play across the sky. I've got to remember to take some extended winter time up north again and soak them up. My friend Uchenna mentioned this to me. And I mention it to you. I ran into this video tonight while searching for a t-shirt by Shepard Fairey. I hadn't seen it before. I love the mix of music and speech. And the message. I've been wanting to see this documentary about the John C. Campbell Folk School for some time, but it hadn't played on our local PBS station. I discovered today that it is available for viewing on-line. The latest edition of the West End Word features an article about the Folk School's new location. The Folk School of St. Louis is celebrating the grand opening of its new home this Saturday, January 26, from noon to 3pm. Come down to 3155 Sutton Blvd in Maplewood to participate in the jam and enjoy the party.